It has been revealed that ousted former President of Zimbabwe, Robert Mugabe will enjoy juicy retirement package after it was approved by the government. 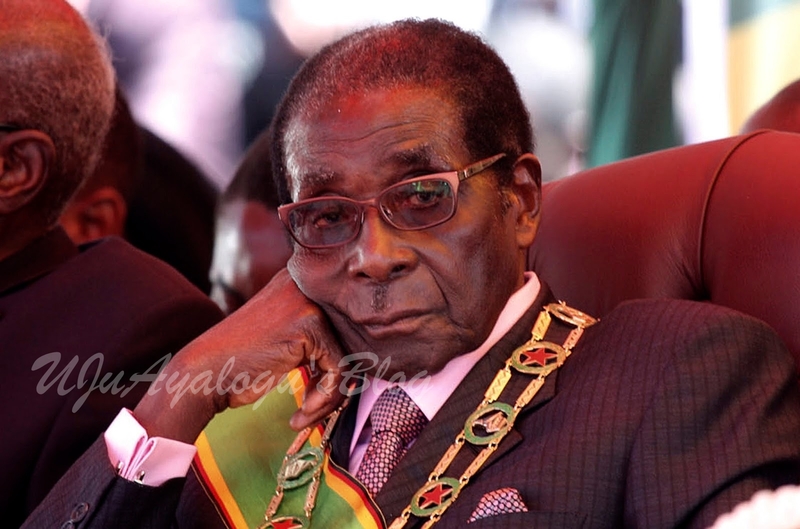 Ousted President Robert Mugabe is set to enjoy juicy retirement package after it was approved by President Emmerson Mnangagwa. He will get a residence, a car fleet and private air travel and other retirment package to be funded by the government. According to The Herald Zimbabwe, President Mnangagwa yesterday gazetted pension and retirement benefits published in a Statutory Instrument of an Extraordinary Government Gazette in terms of Presidential Pension and Retirement Benefits (Services and Facilities for Former Presidents) Notice, 2017. Former President Robert Mugabe is expected to be the inaugural beneficiary of the entitlements. “A former President of Zimbabwe, who has at any time since the 31st December 1987, been President of Zimbabwe for at least one full term of office, shall be entitled to the use and enjoyment of the following services and allowances,” read the notice. Regarding staff, the regulations provide that there will be security personnel as might be determined by the President but not less than six, and to be increased by such number as might be determined by the Head of State and Government whenever and for such period as the need arise. He/she shall be entitled to two drivers, two private secretaries and two aide-de-camp officers or personnel assistance and two office attendants. On office and equipment, there will be provision of a fully-furnished office accommodation and a landline telephone and a cellphone, two computers and such other office equipment and materials as might be determined by the President. Regarding housing and household, the former President will get a fully-furnished official residence at any place in Harare. A former President will also be entitled to a housing allowance to be determined by the sitting President, or a single private residence acquired or constructed on his or her behalf at any place of his or her choice in Zimbabwe or payment of a lump sum equal to the value of the private residence. “In the case of the official residence referred to in paragraph (c) (i) [of the notice] if the former President dies, his or her surviving spouse, or if there is no surviving spouse, his or her dependent child, must continue to be provided with suitable State residential accommodation until (i) in the case of a surviving spouse, the date on which he or she dies or remarries, or whichever occurs first and (ii) in the case of a dependent child, the date on which he or she dies or the date on which he or she attains the age of 21 years, whichever event occurs first,” reads the notice. With respect to private residence, the property shall be constructed on land which in total may not exceed 5 000 square metres. The residence, if it was to be built, should not exceed a reasonably sized house with five bedrooms, a guest wing with three bedrooms, a study, swimming pool, two guardrooms and two garages. “There shall be employed in connection with the residence of the former President (i) three domestic employees, and (ii) two gardeners, and (iii) two cooks and two waiters and (iv) two laundry persons,” read the regulations. There will be an allowance covering medical aid contributions for the former President, his or her spouse and any dependent child. A former President, together with his or her spouse, will be entitled to a diplomatic passport, first class air and rail private travel within the country up to a maximum of four trips per year. There will be international air private travel up to a maximum of four trips per annum including the spouse if he or she accompanies the former President. On transport, a former President will be entitled to one sedan (Mercedes Benz S500 Series or an equivalent class of motor vehicle), one four-wheel drive station wagon or equivalent, and a pickup van. An adequate number of vehicles as might be determined by the President should be at the disposal of security personnel and other staff serving the former President. Fuel costs will be borne by the Government and all the vehicles must be permanently at the disposal of the former President and be replaced after every five years. Other benefits are entertainment allowance to be determined by the President and payment of utility bills such as water, electricity, telephone in respect of the office and official residence of the former President. Meanwhile, President Mnangagwa has set January 1 2018 as the date on which the Public Procurement and Disposal of Public Assets Act will come into operation. The law seeks to clip the wings of the State Procurement Board by decentralising procurement.